Built on a commitment over 60 years ago to new product research and development, Lebanon Seaboard continues to introduce advancements in technology through the creation of new product lines that out-perform competitive brands. With our GreenView® fertilizers and grass seeds, you are receiving the benefit of the same advanced technologies as used on championship golf courses. Our expanding zero phosphate fertilizer line demonstrates our continued environmental commitment. 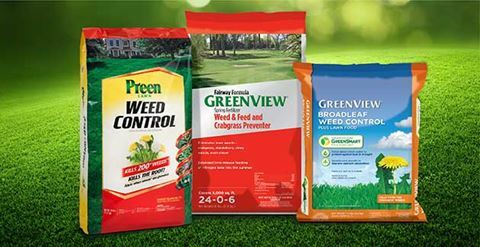 GreenView® offers a full line of fall and spring lawn fertilizers, proprietary grass seeds and seed starting products and weed, disease and pest control products to keep your lawn beautiful all year long. Visit the GreenView® website to order directly from our online store or to find a local retailer near you. Preen® lawn products combine effective weed control with maximum performance fertilizers that keep your lawn green, thick and weed-free season after season. Visit the Preen® website for more information. For more information, contact a customer service representative for Lebanon Seaboard at 1-800-233-1067 or by email.